Play Unplugged takes a look at Battle Foam's P.A.C.K. Mini-carrier, for when you only need to take a few models/supplies with you. Play Unplugged's Enrico Nardini has been doing a lot of skirmish gaming as a part of A Month of MERCS. 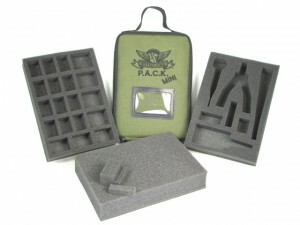 In this review he takes a look at the new case he purchased to transport his skirmish game forces, the Battle Foam P.A.C.K. Mini.